If you are dreaming of one day moving from the beside to a Nurse Consultant the day has arrived! 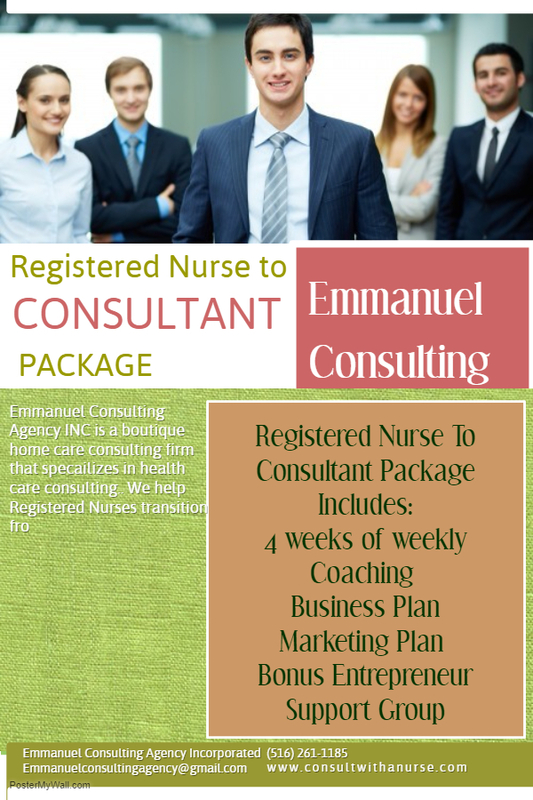 This training is a professional training created for Registered Nurses who want to become Consultants. This training includes a full business plan to successful start-up your consulting business. It includes business essentials, marketing plan, and walks you through getting your first client as a Consultant. Because entrepreneurship is a continued journey we include a free support group for you to learn and grow as a new business as a new Nurse Consultant for 30 days.